Before we explore homeopathic remedies and treatment for various food allergies, let me define the allergy state. We can define food allergy as an abnormally strong reaction to a specific food that is usually harmful to the human body, such as wheat, peanut, milk or butter. In modern age food allergies in humans diagnosed with increasing frequency. Every food contains a different color, taste and nutrition properties and every food make different effects on different persons. Some foods show great results in some diseases and the same foods causes illness in several cases, for example dates are right for people suffering from iron or potassium deficiency but the same food is unsafe for people suffering from chronic kidney infection. Some people are sensitive to dry foods, but most people are getting great health benefits from eating dry foods especially in winter season. Wheat is a good source of energy and we use it in our daily life, but the people suffering from celiac disease cannot bear even a minor quantity of wheat in their meal and they always use gluten-free diet. It is often difficult to determine what a person allergic reaction to different foods, but with the help of latest laboratory test now you can easily diagnose your allergy type. One of the best ways to alleviate the allergic reaction is to avoid allergic foods. Do not trust in infamous packed food brands because in most cases, they do not mention the true composition of their ready-made foods. If you want yourself to safe from unpleasant reactions of food allergies, then always read the ingredients list before you eat any ready-made or packed food. Every food allergy may vary different effects on different people, important factors include age, reaction time, food type, timing and season. Most people have allergies when they're young and as they get older they grow out of them. If a person is allergic to specific food, it may take few seconds to a few hours in occurring side effect of allergic food. The most common and most frequent symptoms appear in food allergic patients are listed below. 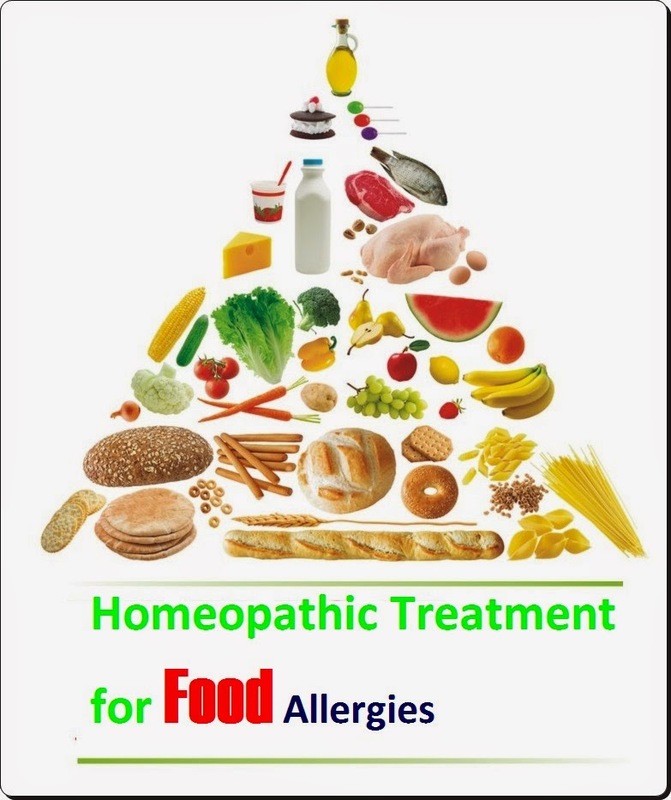 Homeopathic Remedies for Food Allergies! Do you've literally tried every single allergy medicine and nothing is working? If you are suffering from food allergies horribly and when modern medicine completely failed you. You must turn to homeopathy and they will change your life. Now you can breathe and sleep with ease, which you hadn't done well at either since your allergy.